How many organizations can you think of, whether they be in the business of hospitality, food and beverage, or otherwise that shape a significant part of their public image around the quality of their customer service? You can probably think of more than just a few. Customer service has always been a valuable component of any company, and in today’s massively interconnected world the trend of investing in a premium client experience is consistently on the rise. On the surface, statistics play a large role in supporting these claims. In fact, 50% of the brands surveyed by Gartner in 2017 plan to redirect a sizeable portion of their investments into crafting a premium customer service experience. Curious as to how this will re-shape the future of business, we here at Algo Communication Products Ltd. looked into the matter ourselves, and were surprised by what we discovered. Despite making sizeable contributions towards their customer service programs, consumer reports stated that a mere 7% of these companies actually exceed expectations. With such bleak numbers, one may ask, what is there to do in order to maximize customer satisfaction? With decades of experience in re-shaping the communication systems of our clients in ways that benefit both internal and external stakeholders, we can offer several suggestions to those businesses seeking to please their customers in the most cost effective and innovative fashion. One thing to take into consideration revolves around the journey of the customers themselves. A large majority of people polled stated that the entirety of their experience, from start to finish, is integral towards their overall decision-making when it comes to buying a product or practicing brand loyalty. The ease of which they could interact with customer service agents across a multitude of devices plays the most significant role within their ‘journey’. Simply put: the more channels of interaction available the better. This is easier said than done, however. Or is it? 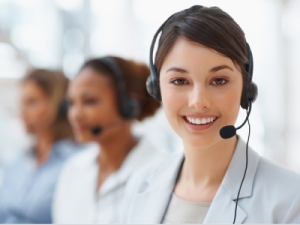 This utopia of excellent customer service is one that relies on a myriad of tools and technologies including intelligent resource matching, customer analytics that follow them along every step of their buying journey, and anticipatory engagement software (a field which expands in size and scope every day). Here at Algo, we offer all of the above and more. We understand not only what customers demand, but also the best avenues of ensuring that they receive this. Using an expert team of analysts, technicians, and our own client facing representatives, we have proven time and time again that the status quo can be broken in terms of the interactions that our customers have with their stakeholders. We ask important questions while assessing your business, and always guarantee solutions that will fundamentally alter the perceptions of your enterprise that the public may hold. With technology accelerating with leaps and bounds, and the expectations of customers following in close pursuit, it is important that you have someone taking the helm of your communications mediums who has the vision and expertise to steer you in the right direction. For further information as to how we can help your business improve its communication systems (both internal and external), don’t hesitate to reach out to us via phone our email. Algo Communication Products is a full service center for business and office telephone systems serving Vancouver and the lower mainland. From new product installations to move and relocation services, our partnerships with Avaya, Cisco, and ShoreTel Phone Systems allow us to offer customers a large range of solutions that can be customized to your specific business telephone needs.